Selected works for radius250 2019 have been juried by Eric Walton, the Director of Walton Gallery, Inc., his family owned art gallery located in Petersburg, Virginia. 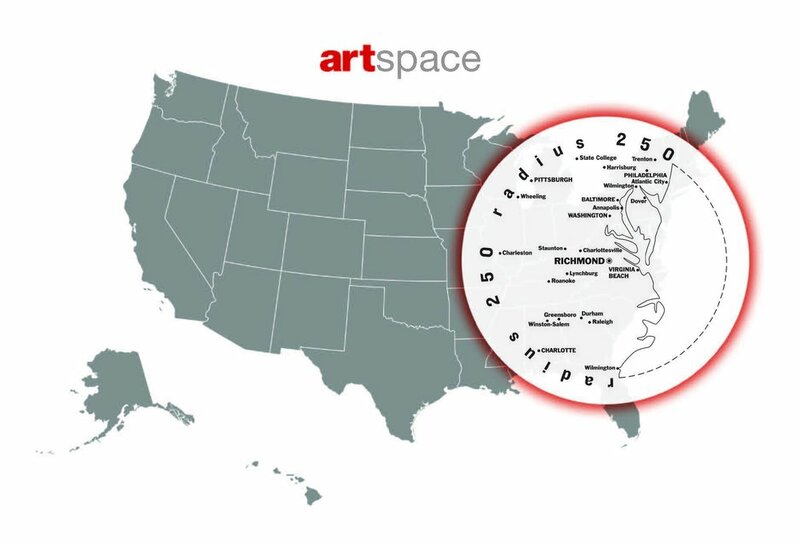 radius250 2019 is the eighth installment of artspace’s signature exhibition of creative works from artists living and working within 250 miles of Richmond, VA. The exhibit highlights a rich array of works representing the creative talent of the Mid-Atlantic region. Selected works this year include painting, drawing, sculpture and printmaking. Six hundred and seventy-eight (678) works were submitted by two hundred and seventeen (217) artists, and of those, eighty-six (86) works from seventy-seven (77) artists have been selected. Free and open to the public. Gallery hours: 12-4pm, Tuesday-Sunday. Closed Monday.